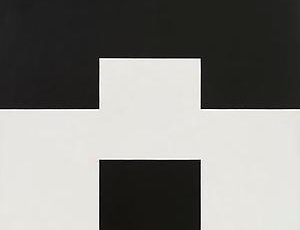 FREDERICK HAMMERSLEY was born in Salt Lake City, Utah, in 1919. He attended the University of Idaho from 1936 to 1938 followed by the Chouinard School of Art in Los Angeles from 1940 to 1942. He served in the U.S. Army during World War II. At the end of his service, he was stationed in Paris, where he attended classes at the École des Beaux-Arts in 1945. Under the G.I. Bill, he returned to the Chouinard School of Art in 1946, and then continued his artistic studies at the Jepson Art Institute from 1947 to 1950. He lived in Los Angeles in the 1950s. During that time, he developed his distinct “Hard-edged” technique and began associating with a small group of artists known as the Abstract Classicists. 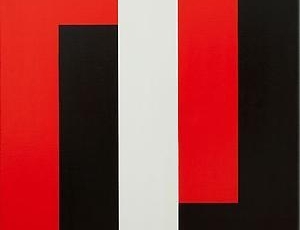 This hard-edged style made its debut in 1959 in an exhibition entitled “Four Abstract Classicists,” which included works by Hammersley, John McLaughlin, Lorser Feitelson, and Karl Benjamin. In 1968, he moved to Albuquerque, New Mexico. His artwork may be found in the collections of the Corcoran Gallery, Washington, D.C.; the Los Angeles County Museum of Art, Los Angeles, CA; the San Francisco Museum of Modern Art, San Francisco, CA; the Albright-Knox Art Gallery, Buffalo, NY; the Albuquerque Museum, Albuquerque, NM; the Baltimore Art Museum, Baltimore, MD; the Santa Barbara Museum of Art, Santa Barbara, CA; and the Oakland Museum of California, Oakland, CA, among others. 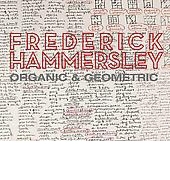 Frederick Hammersley died in Albuquerque, New Mexico in 2009. 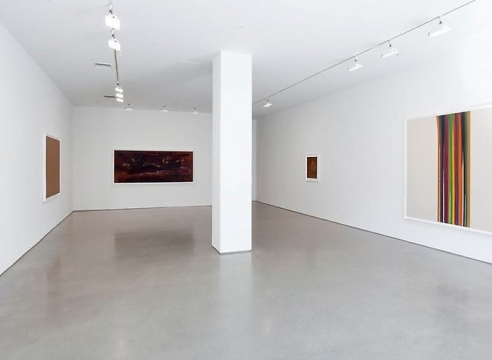 L.A. Louver is pleased to present an exhibition of computer drawings created in 1969 by Frederick Hammersley (1919-2009). Hammersley used early computer technology to make these drawings, a process that became pivotal to his artistic development. 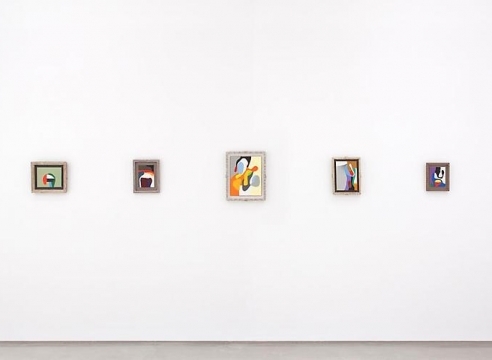 Hammersley's paintings are abstract, richly colored and possess a quietly resolute determination. They do not represent anything in the traditional sense; rather they suggest complex emotional states and patterns of thought. 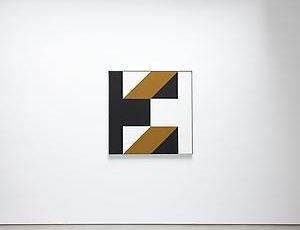 Their seemingly clear and simple compositions belie their pictorial richness. 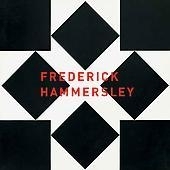 Hammersley's abstractions came out of drawing. 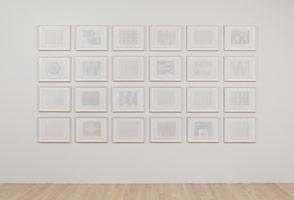 While teaching at Jepson Art School in Los Angeles, he found "a delicious stone" to create intimate lithographic prints (each 3 x 3 inches) based on a grid structure of 16 squares. 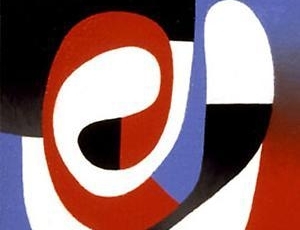 He introduced compositional elements one by one, altering line, form, color, etc. to discover how each would react to the other. These small prints held the seeds for his later geometric paintings. After leaving Jepson in 1951, Hammersely recalled that he "bumped into hunch painting by accident," inspired by the shapes that he saw in the figure and in still-life, reducing them to elemental form. 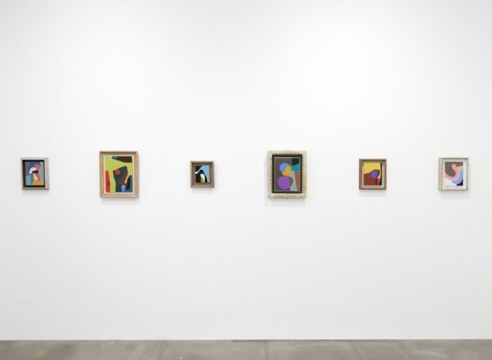 These were intuitively derived compositions that gained the attention of curator, Jules Langsner, who included Hammersley in the landmark 1959 exhibition, Four Abstract Classicists, at the Los Angeles County Museum of Art. Throughout the history of Modernism, the reputations of many painters have become known through their association with groups of like-minded individuals. 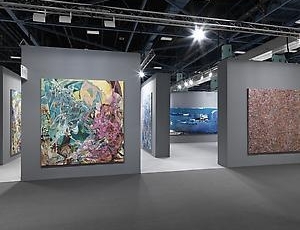 Some of these associations are casual while others become definitive movements involving exhibitions and critical dialogues, at times using a manifesto or style of presentation as a means to communicate their aesthetic or to reinforce their social, political, and conceptual aspirations. 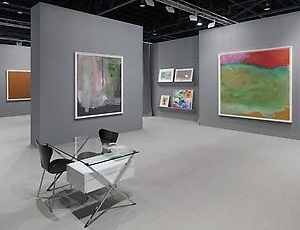 Art movements have a temporal role in the history of art. They exist for a relatively short duration before members spin off in other directions. 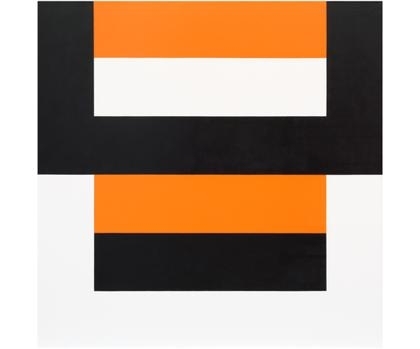 The hard-edge abstractions of the painter Frederick Hammersley (1919-2009), who began his career in Los Angeles and later moved to New Mexico, have never enjoyed much of a New York presence. 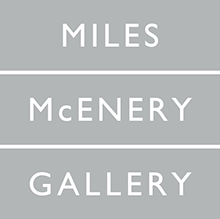 They were last seen in bulk here in a two-person exhibition at Artists Space in 1987, a year after the artist’s only New York gallery show and more than 20 years after his rare inclusion in a New York museum show: the Op-Art-centric “Responsive Eye” exhibition at the Museum of Modern Art in 1965.